Judging by what I have seen so far of this coming season’s denim collections, 7 For All Mankind has the widest range of fits, from superskinny to wide leg flare trousers. I picked the the skinny leg trousers as my fave, they are perfect for my height (160cm or 5’7″) because I was looking for “middle” jeans, a pair of jeans that are neither superskinny nor over-sized boyfriend jeans. Oh, and talking about boyfriends… it was love at first sight for the men’s trouser jeans. 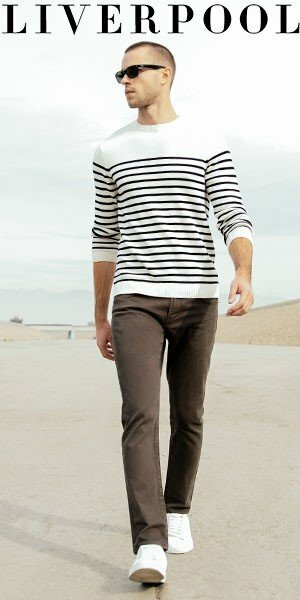 In fact, the men’s jeans collection has the same wide range of fits as the womens, going from a very skinny fit (they call them slimmy jeans) to trouser leg. Strength in depth is what 7FAM are all about.